TALLAHASSEE – Gov. Rick Scott is planning on reforming higher-education in January and state universities may bare the largest brunt. 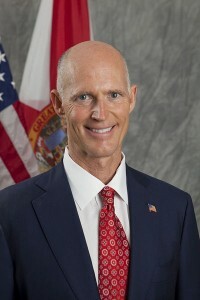 Scott told the Sarasota Herald-Tribune that he is rethinking college faculty security and hopes to fund programs that give students the best employment opportunities after graduating. Some college majors that Scott is looking to push forth to students are science, engineering and technology degrees. Programs that the governor is looking to cut funding to include anthropology, psychology and liberal arts. Scott believes degrees like anthropology aren’t necessary in today’s economy and workforce. “”Is it a vital interest of the state to have more anthropologists? I don’t think so.” said Scott. At the University of Florida’s (UF) College of Liberal Arts, the program is UF’s largest with 42 different majors and nearly 13,400 students. The largest degree program is Psychology with 485 graduates in 2010. Senior Jesse Florentino believes that while cuts need to be made, certain degrees need to stay funded because of their impact on society today, but agrees with Scott on cutting the lower majors. “I think whatever the majors that people don’t usually pick like anthropology need to be cut, but if there’s something huge like engineering then that’s ridiculous,” said Florentino. Merritt believes every degree has an impact on today’s world. “Every major that is out there, contributes to society in some way,” said Merritt. The proposed cuts will not be recommended to the Florida legislature until January. I personally don’t agree with Scott because ALL the above areas of study are important. If we don’t have them there wouldn’t be psychologists, which would be kind of scary and chaotic, with more mentally disturbed individuals running around. I also agree with Ms. Merritt on the fact that people should have the chance to be who they want to be and study what they want to study. If I were 18 I would openly disagree with Scott. I know for myself, a person who is looking towards the liberal arts as a possible major, I find this news, sad to say the least. Man needs to learn from his past mistakes. How can we do this when we find their are less and less historians. “Those you fail to learn from history are doomed to repeat it.” Much of what has happened today has occured a hundred years prior, intrestling enough just the level is diffrent.